Computers are meant to make running a business easier and more efficient. However, they also open up the possibility of being affected by a data breach that could have serious consequences. Investing in the right cyber liability insurance policy is the best way to ensure that your business is protected from a data breach. Even though you may think that you are not in danger of a data breach since you own a small company, data breaches can still have devastating effects. More than half of all small businesses in the United States have experienced a data breach, and more than half of those businesses have experienced multiple breaches. Data recovery – after a breach, all of your data is compromised. 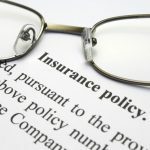 A cyber liability insurance policy will provide coverage to restore all data that was compromised, as well as cover the cost to buy new computers if needed. Customer notification – in most states, businesses are required to notify customers of the possibility that their personal information has been compromised due to a breach, which can cost thousands of dollars. 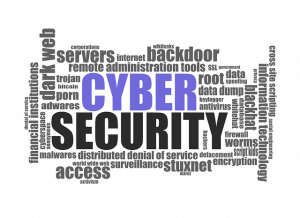 Cyber liability insurance will cover all of the costs that are associated with notifying your customers, as well as any credit monitoring that is needed. Legal aid – if your data breach leads to a lawsuit, a cyber liability insurance policy will provide coverage for the legal fees associated with the lawsuit. Dealing with just one data breach as a small business can be financially devastating. Investing in the right cyber liability insurance policy is the best way to ensure that your small business does not go bankrupt from one incident. For all of your business insurance needs and to ensure that you have the right amount of protection for any situation, contact the insurance professionals at American Advantage – IFS Inc. in Pewaukee, Wisconsin.